Info Cubic is partnering with other industry leading organizations dedicated to improving HR processes and systems by providing research-driven solutions and services to help businesses succeed. We believe the recruiting process never ends for a candidate nor does a company get a second chance to make a first impression. Our comprehensive onboarding solution is hyper-focused on delivering a simple, friendly, and intuitive experience for Candidates and Human Resource Professionals. At Click Boarding, building an employees’ best first day ever is what we do all day, every day! Hyrell is hiring made easy with a cloud-based pre-hire applicant tracking solution for Small-Medium Businesses. The platform lets you easily find, qualify, and hire the best applicants for your specific needs. As applicant traffic is directed into your branded hiring system, applicants are immediately scored, ranked, and sorted — allowing you to focus on only the most qualified candidates – resulting in a more efficient process and ultimately better employees. Automating your most paper-intensive processes, centralizing applicants, and providing improved insight into all facets of your recruiting process. Highlighting your most qualified applicants by automatically scoring and ranking applicants based on your criteria. Streamlining communication by automating key external and internal communication steps to make sure your applicants and stakeholders are always in the loop. Improving hiring team collaboration and productivity by encouraging collaboration on each position or applicant – saving your team valuable time and energy. We’re incredibly honored to join forces with Boot Campaign to awaken more Americans and give back to those who serve. Established in 2009, the Boot Campaign is a national 501(c)(3) charitable organization dedicated to promoting patriotism for America and our military community; raising awareness of the unique challenges service members face during and post-service; and providing assistance to military personnel, past and present, and their families. Retail sales of combat boots, apparel and mission-focused merchandise, general public donations and corporate sponsorships fund programs that support military families. These efforts extend to all generations of military personnel who endure significant physical, emotional and circumstantial hardships resulting from their service and sacrifice. 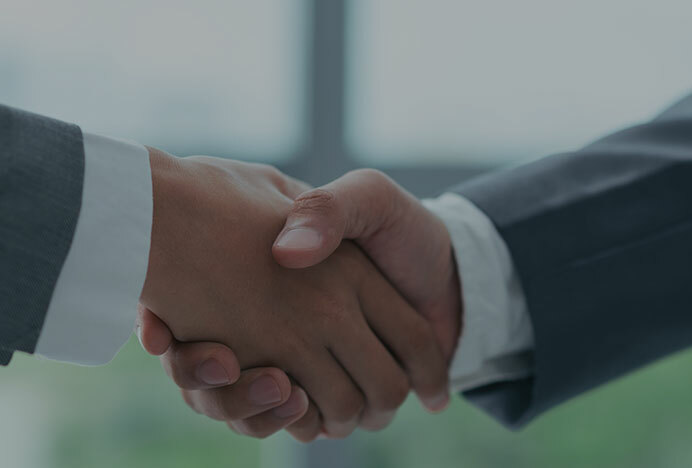 Info Cubic is proud to be a Partner of iCIMS, the leading provider of talent acquisition solutions that help businesses win the war for top talent. iCIMS empowers companies to manage their hiring process within the industry’s most robust Platform-as-a-Service (PaaS). Built on the foundation of a talent acquisition software suite that’s designed to be the best, iCIMS’ PaaS framework, UNIFi, allows employers to expand the capabilities of their core talent acquisition technology by integrating with the largest partner ecosystem in talent acquisition to help them attract, find, screen, and manage candidates. Offering scalable, easy-to-use solutions that are backed by award-winning customer service, iCIMS supports more than 3,500 contracted customers and is one of the largest and fastest-growing talent acquisition providers. Fama uses machine learning to help organizations fill in gaps of information on who they hire by analyzing a person’s publicly available online presence. Their customizable algorithms provide insight into whether an individual will extend or detract from your mission and values as an organization. Standard assessments, background checks and formal referencing don’t tell the whole story. People are posting online more than ever, revealing job-relevant values and behaviors that are typically out of reach via other methods of interview and assessment. Employers can no longer turn a blind eye. 70% of companies in the US are now looking at social media during the screening process, most of them manually. But manually screening candidate’s social accounts is inefficient, time-intensive, and creates serious legal risk for businesses. Fama’s solution addresses those challenges head-on and can be tailored to meet the exact hiring needs of each of its clients while also remaining FCRA and EEOC compliant. Built by a team of PhD data scientists, engineers, and change-makers Fama helps business make smarter hiring decisions and shape corporate culture.